Looking to achieve internal balance and reduce tension and stress? This class uses breath-synchronized movement to create internal heat that purifies muscles and organs by expelling unwanted toxins from the body in the form of sweat. Dynamic, flowing posture sequences will build strength and flexibility. You will learn to set an intention for your personal yoga practice and take the necessary steps toward reaching that goal. Born and raised in Argentina, Daniel came to San Diego in 1997 to work as a Ph.D. doing research in the SDSU Psychology Department. He became an ARC member as soon as the gym opened and started practicing yoga regularly in 1999. Along the years, Daniel participated in yoga classes and yoga retreats with many wonderful instructors at the ARC, learning different styles of yoga. He obtained his yoga teacher certification in CorePower Yoga, in 2008. 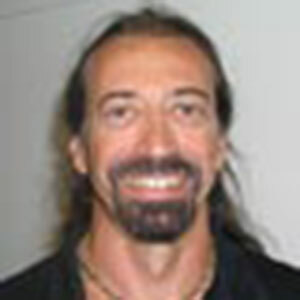 Around the same time he graduated from IPSB as a Holistic Health Practitioner and Massage Therapist. Since then, Daniel has been teaching yoga and doing bodywork in different institutions around San Diego and South America. In 2011, Daniel completed a SUPcore certification as a Stand Up Paddle (SUP) and SUP Yoga instructor through Surftech SUP Academy (SSUPA) and has been teaching SUP and SUP Yoga at Mission Bay Aquatic Center ever since. Daniel’s passion for Nature and traveling has brought him to teach yoga (volunteer work) and practice SUP in the Amazon (Peru), experience he plans to repeat annually before visiting family and friends in Argentina.